Dr. Anderson explains how some long-held beliefs have been found to be flat-out wrong. He also goes on to finally reveal if any of us are really good at multitasking. 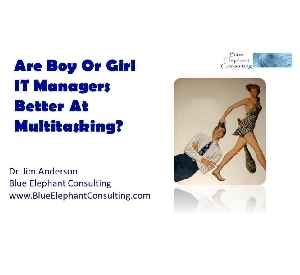 Are Boy Or Girl IT Leaders Better At Multitasking?